Is Hutchinson a High Radon Area? Reno County and Hutchinson are in the Environmental Protection Agency’s (EPA) Zone 2, the medium risk zone. 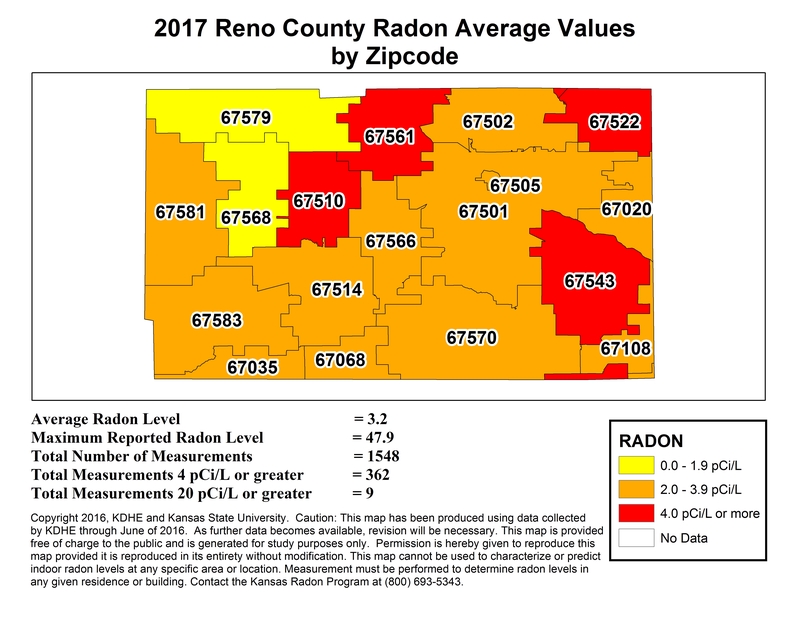 We will quickly summarize the basics of what Radon is and how it is measured to help make sense of the levels in Reno County. What Does it Mean that Reno County is in the Highest Risk Zone? 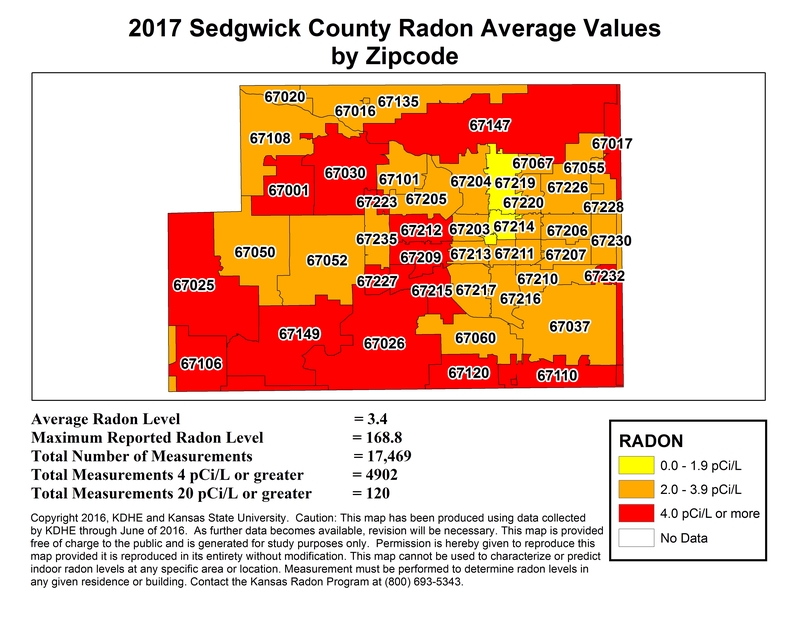 Essentially, because Reno County is in Zone 2, the EPA predicts the average radon levels in the county are between 2 pCi/l and 4 pCi/l. Over 23% of Reno County homes tested had HIGH Radon and the highest level recorded in the county was over 47 pCi/l.